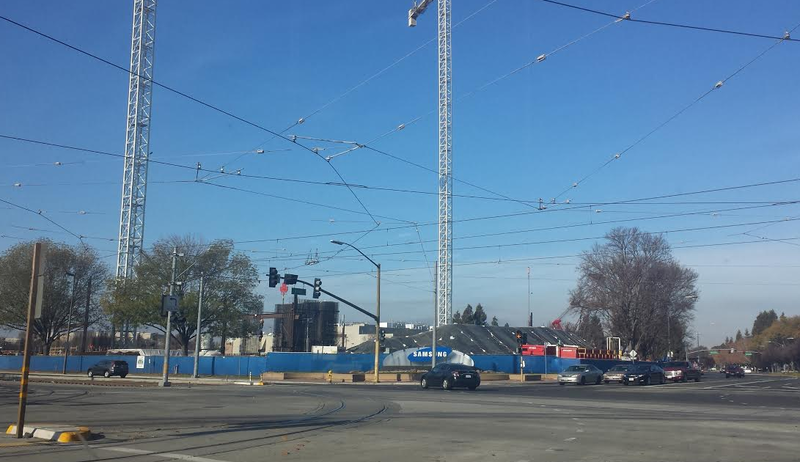 Downtown isn't the only place in San Jose where multiple cranes are going up. Below is a pic that Jaime Pelayo sent in last week of the Samsung Headquarters in North San Jose. It looks like the flagship campus is now growing above ground. Looking forward to seeing this project at full height!